When NARS released their new Natural Radiant Longwear Foundation, I was all for it. Truth be told, I probably didn't need another foundation in my collection but there was something about this particular foundation from NARS that had me intrigued. I am not sure what exactly it was that drew me in but I am glad I went with my intuition because I may have possibly have found my new Holy Grail foundation! NARS' Natural Radiant Foundation is pretty darn ideal in my book. 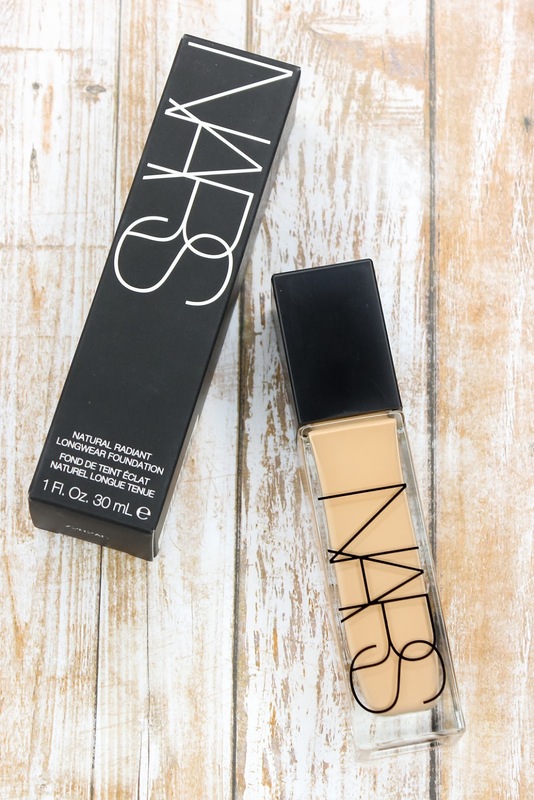 It offers a medium-full coverage, it has a lovely and lightweight texture that blends seamlessly on the skin, it plays well with my combination skin-it doesn't accentuate dryness nor does it make my skin any oilier, and best of all it truly is long wearing (NARS says it offers up to 16 hours of wear). Trust me, this stuff won't fade or budge for hours! I have the shade Light 5 Fiji, which is a very good match for my light skin tone which contains yellow undertones. If it helps, I am a MAC NC 25, for reference. 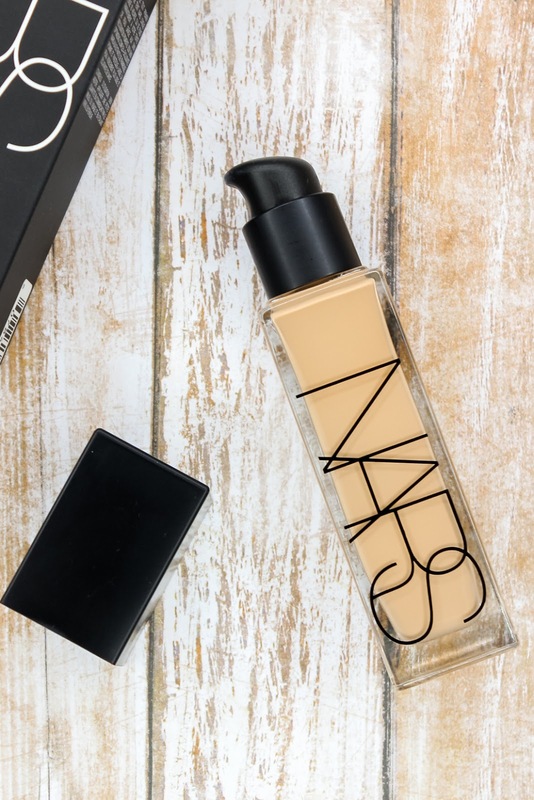 The NARS Natural Radiant Longwear Foundation imparts a satin, demi-matte finish on the skin that looks absolutely breathtaking. My skin still looks like skin, but better. That little hint of radiance also peeks through from the foundation, which adds the perfect touch. The foundation comes housed in a long glass bottle, which is typical NARS in that it's very sleek and modern. I love the inclusion of a pump, which makes dispersing the product easy and mess-free. I think it's safe to say that I am head over heels in love with NARS' Natural Radiant Longwear Foundation. I can't believe I am about to say this but, there is literally nothing I don't like about this foundation. And I don't think I have ever said that about a product. Seriously, head on over to Sephora or your nearest NARS counter to see this foundation in person and give it a test. I know the price is a little steep (that $49 does hurt my wallet, ugh) but if you don't want to commit to the full size just yet, you can get samples of the foundation at Sephora to take home and properly try out. I am confident that many of you guys will end up enjoying NARS' Natural Radiant Longwear Foundation just as much as I do. Please report back if you do!